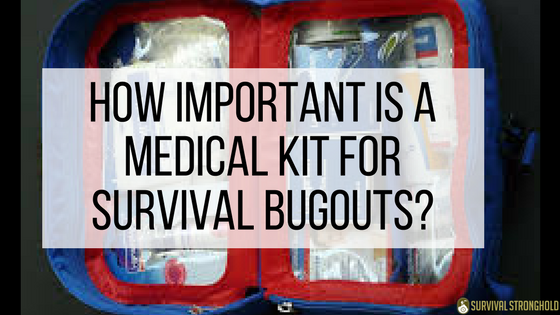 How Important Is a Medical Kit for Survival Bugouts? When people are prepping, and preparing to survive in case the SHTF, they always want to travel as lightly as possible. They often look for things that they can cut out of their bugout bag to make things more manageable. While this can be a good idea, you need to make sure that you never remove items that are essential, and the medical kit certainly falls into that category. You never know what could happen when you are out on the road, so you do not want to skimp with your medical supplies. 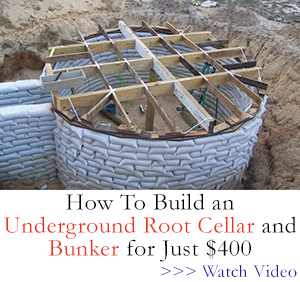 Along with food and water, it is one of the most essential items you will have with you. Whether you or a family member is cut, bitten, or even just has a headache, you will be happy when you have the needed supplies with you and easy to access. What would happen if you didn’t have your medical kit with you? Injuries that you could take care of easily could become infected, which can lead to serious illness and even death. You want to make sure that you have plenty of bandages, salves, antibiotic ointment, iodine, surgical tape, gloves, tweezers, and all the other essential medical gear with you. This includes common over the counter medications, as well as prescription meds that you or anyone else in the family might need. As a prepper and survivalist, it is important to be prepared for anything. That means more than just hunting, defending yourself, knowing how to start fires and build shelter. You also need your medical kit, and it would be a good idea to take some first aid courses, as well. The more prepared you are the better your chance of survival. If the bugout bag is too heavy, you can always look for other ways to lighten the load, or have someone else in the group help carry things.